Introducing an inspiration for hair: Hair Perfume No. 12. Did you know that your hair is the perfect fragrance touchpoint? Hair has natural movement and ability to both absorb and diffuse scent. So applying No. 12 to your locks creates a lasting aromatic impression. No. 12 is the ideal finish to your hairstyle. Use it before you leave the house, an evening out, after the gym, between blowouts, or just refresh your hair anytime the mood strikes. Crafted with pure essential oils, No. 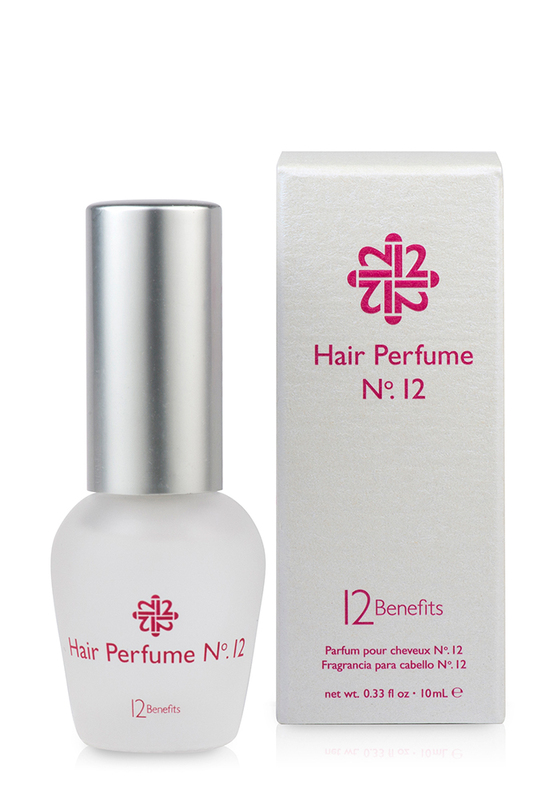 12 is designed specifically for hair with only 4 naturally occurring ingredients. We combine floral Awapuhi with savory Papaya, finishing with a hint of spicy Ginger. Vegetable moisturizers nourish. Our natural blend is intensely exotic, sultry and soft. No. 12 holds true to the spirit of our multi-benefit hair care brand: perfectly modern and ultimately feminine. Lightly mist Hair Perfume No. 12 on mid-lengths and ends. Refresh as desired. Awapuhi, Papaya, Ginger blend. Grain, Vegetable derived moisturizer. 1. Spray on a brush, then brush your hair. 2. Spray No. 12 into the air and walk underneath. 3. Dip forward and spritz underneath layers at mid-lengths and ends. Flip.